In winter time when the snow lies deep and the ices are thick we ride along prepared tracks and routes in the Ammarnäs surroundings. Feel free to combine the horseback riding with some skiing or a snowmobile tour with the associated ice fishing for Arctic char. We have a number of different horseback riding tours which last from a few hours to a full day’s tour to Örnbo. One day we’ll experience the joy of recently having pulled up an Arctic char through the hole in the ice. The other day we cross the frozen rivers with the creaking from the horse’s hooves and the smoke from their nostrils. 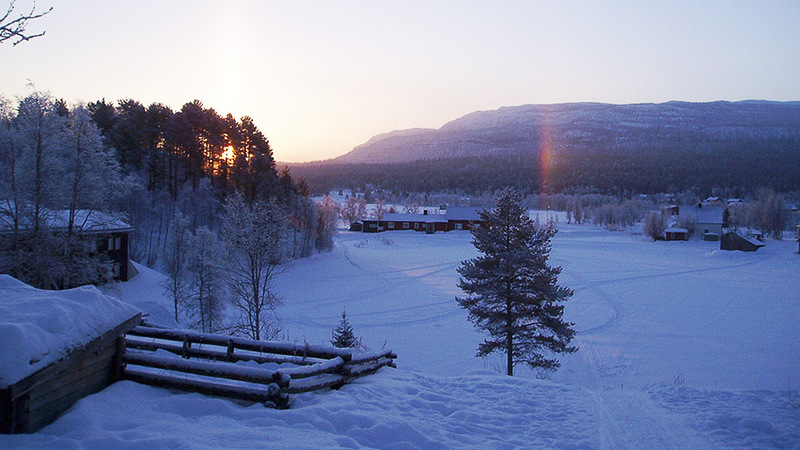 We eat and sleep well at the Ammarnäs Inn and have time of our own to spend in the village. Perhaps you want to go skiing on the slalom slope or any of the prepared tracks round the village. Icelandic horse riding, downhill skiing, accommodation with breakfast and lunch, everything in a mixed winter bag that make the days in Ammarnäs a memory that lasts for long.